Available to all Intruder 5.0 and later owners. Rez an Intruder 5.0+ once released to get the update. You're not paying for a beta - we only sell finished products. You're getting everything that's gone into the Intruder in one simple package - no separate versions, no prereleases, no confusing exclusivity - all for less than the leading competitor. Plus, your new Intruder can be updated anywhere, anytime - you don't have to pay to join a group for updates. Either way, if you want to join, it's free! We won't threaten to ban you from our group, either (as long as you're cool). There's so much packed into the new Intruder, it would take another month just to write down everything that we've improved. We added so many new exclusive features - from a revamped Web Config to our new Active Suspension. You're getting way more for way less. More features, more colors, more fun - less money, less bugs, less problems. Eight years at the top. We've been the leader in the roleplay community for over eight years. 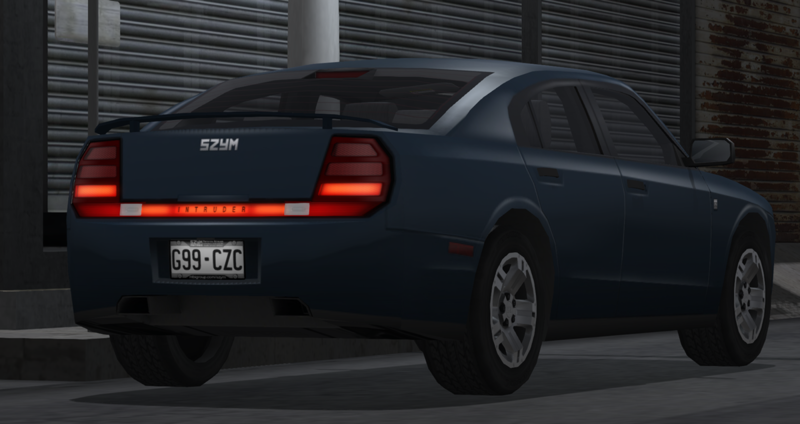 We've taken hundreds of comments and suggestions to improve the gold standard of roleplay vehicles. You won't be disappointed - we've listened and learned, and we're always open for more ideas. We're confident in our work, and we don't photoshop our images - with SZYM, what you see is what you get. We get it. Let's get down to business.